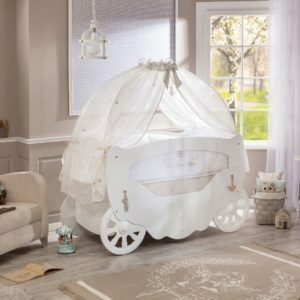 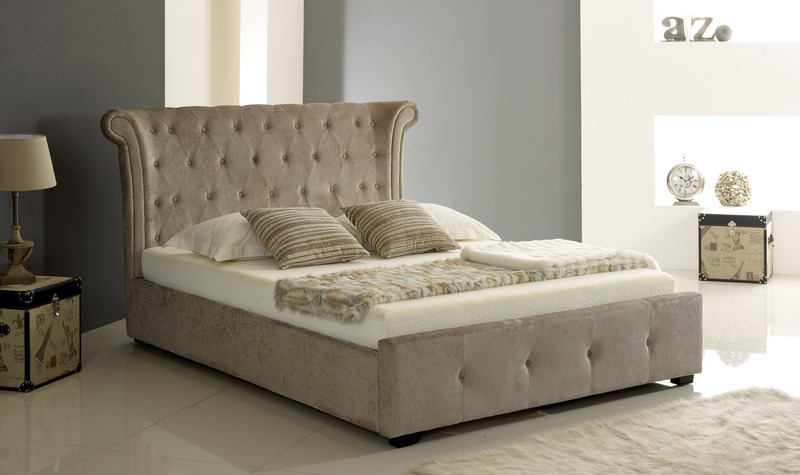 This beautiful fabric button bed features an elegant sleigh design on the head and footboards and contemporary chunky dark feet added to the stunning buttons on both the headboard and footboard. 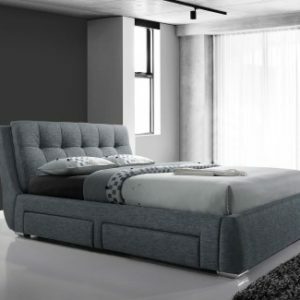 The contemporary fabric material gives the bed a higher quality which makes the bed look glamorous and a gives it a longer life period. 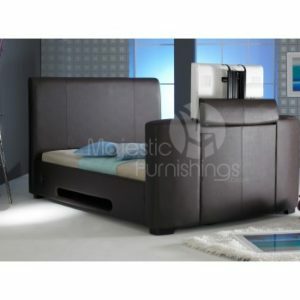 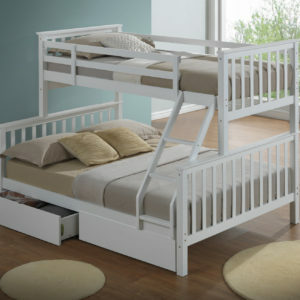 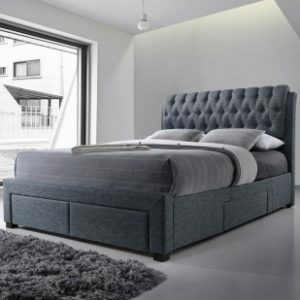 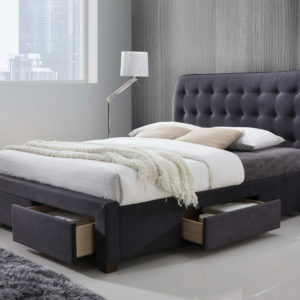 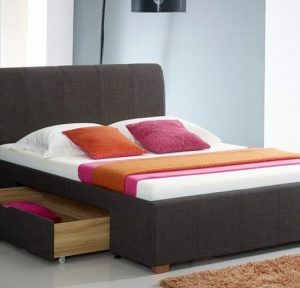 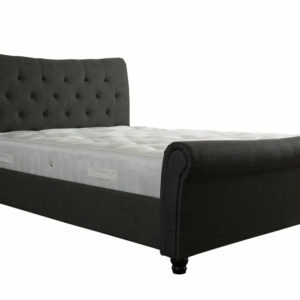 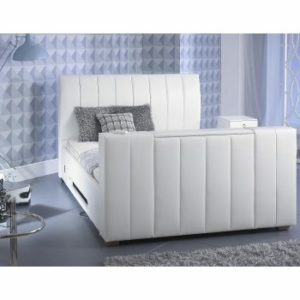 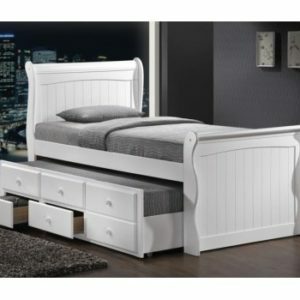 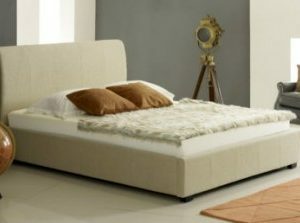 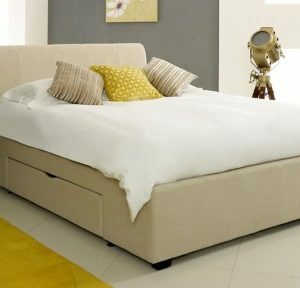 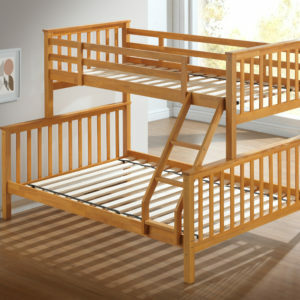 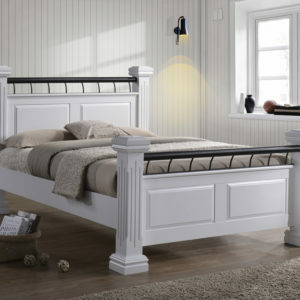 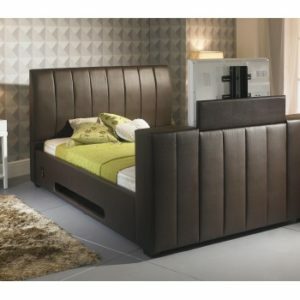 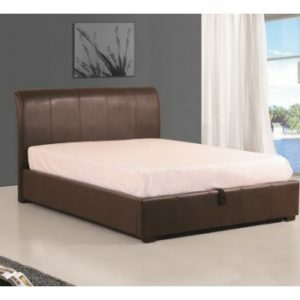 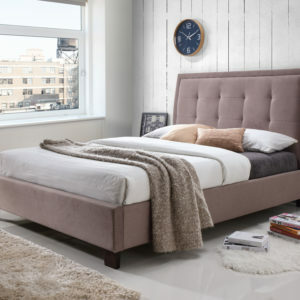 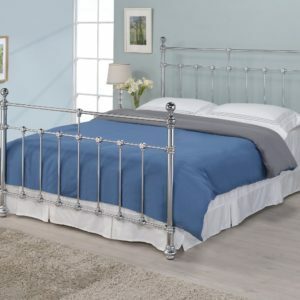 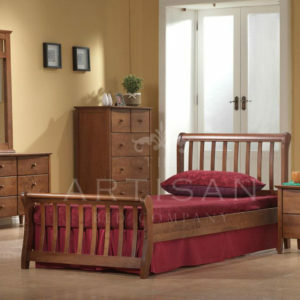 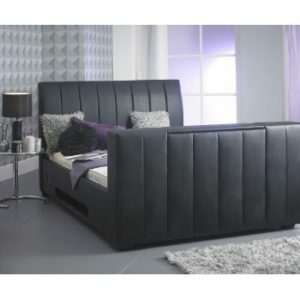 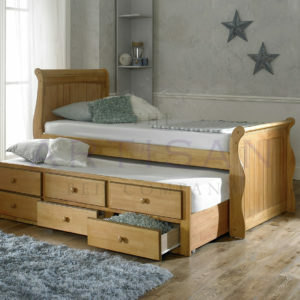 The quality of the Button Bed gives you a welcoming feel and gives it the edge which makes the bedroom look very stylish and elegant, it is sure to add a touch of class to your bedroom.